Honey is produced in most of the countries of the world. Today's science says that even though honey is sweet, if taken in the Right dosage as a medicine, it does not harm diabetic patients. Weekly World News, a magazine in Canada, on its issue dated 17 January has given the following list of diseases that can be cured by Honey and Cinnamon as researched by western scientists. Have treated patients successfully and have found that as age the Arteries and veins lose their flexibility and get clogged; honey and Cinnamon revitalizes the arteries and veins. INSECT BITES : Take one part honey to two parts of lukewarm water and Add a small teaspoon of cinnamon powder, make a paste and massage it On the itching part of the body slowly. It is noticed that the pain Recedes within A minute or two. UPSET STOMACH : Honey taken with cinnamon powder cures stomachache And also clears stomach ulcers from the root. WEIGHT LOSS: Daily in the morning 1/2 hour before breakfast on an empty stomach and at night before sleeping, drink honey and cinnamon powder boiled in one-cup water. If taken regularly it reduces the weight of even the most obese person. Also, drinking of this mixture regularly does not allow the fat to accumulate in the body even though the person may eat a high calorie diet. FATIGUE: Recent studies have shown that the sugar content of honey is more helpful rather than being detrimental to the strength of the body. Senior citizens, who take honey and cinnamon power in equal parts, are more alert and flexible. Dr. Milton who has done research says that a half tablespoon honey taken in a glass of water and sprinkled with cinnamon powder, taken daily after brushing and in the afternoon at about 3.00 p.m. when the vitality of the body starts to decrease, increases the vitality of the body within a week. SURE YOU'RE NOT ALLERGIC TO HONEY--HONEY!!!!!!!!!!! STROKE: Remember The 1st Three Letters... S.T.R ..
T * = TALK. Ask the person to SPEAK A SIMPLESENTENCE (Coherently) (eg 'It is sunny out today'). Thanks to Dr.T.Selvamuthukumaran for sending this mail. The Hindu Businessline reported that SBI’s Web site was paralyzed on Christmas Eve as hackers, believed to be from a foreign country, broke through the bank’s stringent IT defenses. “Attempts were made to disrupt the system from outside the country. However, there was no loss of data,” said Mr R.P. Sinha, Deputy Managing Director (Information Technology), SBI, at the launch of the bank’s first Internet banking kiosk at Mumbai Central Railway Station on Saturday. India Infoline in it's latest weekly news letter, recommends selling of Satyam Computers. The recent controversies with respect to Satyam have created a permanent dent to the credibility, growth and valuations of the company. Serious corporate governance issues have emerged inthe Maytas fiasco and the World Bank ban. Further, the management and the Board appear to be at loggerheads with severe criticism from the global investing community. While there could be trading opportunities from oversold positions; fundamentally, this stock is a Sell. A change in rating would require a change in the management and an improvement in macro conditions but both might take time. For more details Please click here..
With effect from Friday, December 26, 2008 there will berevision of market lots for derivatives contracts as per NSE circular no. NSE/F&O/128/2008. To avoid operational complexities, in case 2 above, only the far month contract i.e. March 2009 expiry contracts will be revised for market lots. Contracts with maturity of January 2009 and February 2009 would continue to have the existing market lots. All subsequent contracts (i.e., March 2009 expiry and beyond) will have revised market lots. How to avoid Reliance Money's Limit Card rate hike? You all know that Reliance Money suddenly doubled their Limit card charges. To escape their hike, you can renew your rate card Rs.2500 (annual scheme) before Dec.30 and enjoy old rates for another one year. Those traders having more than Rs200000/month volume or doing regular options trading, can opt this temporary remedy. Others can opt for PR500 scheme to get Rs.5lakhs limit for one year instead of Rs.2lakhs limit for one year. Even after the hike, Reliance Money offers lowest brokerage for those doing monthy volume upward of 3 lakhs. 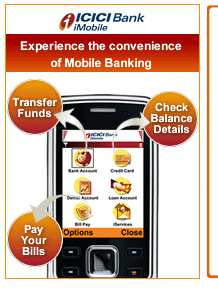 ICICI Bank re-introduces (Suspended due to RBI Guidelines) it's Mobile banking Application called i-Mobile. If you have GPRS enabled handset and registered for ICICI Bank mobile banking service, then you can download the application by sending a SMS "iMobile" to 5676766. It is a free service from the ICICI Bank through which you can conduct almost all your net banking transations from your mobile phone securely. For more information, please click here. Though technically market poised for a rally, I couldn't find any fundamental reasons. Low inflation figures are due high base effect and decline in the prices of petroleum products. The new Housing loan bonanza is not going to save either realty players or PSU banks. It seems market is betting on second stimulus package. Due to Christmas, F&O contracts would be settled on Wednesday. Hence volatility will increase. I would prefer to be on sidelines. Use strict stop loss for your trades. Nifty trading range 2800 -3200. Though the investment environment is turning murky day by day, I prepared a list of companies that I may invest in the Year 2009. It is not a comprehensive list. But I do believe these companies would survive this tough environment. Happy investment. Time your entry well. Don't buy in rallies. Google Calender is web based outlook like calendering and reminding service offered by the web giant Google. It has sharing, invitation sending and online scheduling features. You can also allowed to subscribe your friend's google calenders and other web calenders inculding weather and ical based other services. You can embed your calender in your website also. It can remind you events and birthdays through email and SMS. SMS reminder is a free service. It would send reminders to your registered mobile number. The following Indian Operators are supported now. 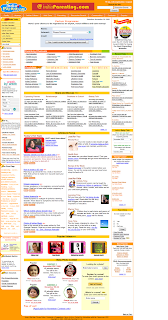 Mozilla Firefox 3.0.5 now officially released Hindi (India),Gujarati, Punjabi,Kannada,Marathi and Telugu. You can download from here. Tata Motors Ltd., FD Scheme - 11% interest for a 3 years FD. - 0.5% additional interest for Senior Citizens & Share holders. - Sec. 80-C benefit available for the entire premium amount. - Effective YIeld with IT benefit upto 18%. This aptly describes stock recommendations available now. When ever market falls, FIIs are accused of relentless selling. But domestic mutual funds are responsible for the yesterday's last hour fall of the market. FIIs indeed bought power and infrastructure companies. Domestic players gave two reasons for their sale. Pakistan/militants are planning to attack our deep water resources of ONGC & Reliance's Gujarat assets (Pure rumors but they are their longtime strategic targets) if tension between these two countries escalates. But the real reason is that they need cash. They didn't book profits. They booked losses in the name of portfolio re-allocation. our sympathies with the professional fund managers who are now a days worrying more about their own job security and how to minimise their salary cuts than the funds under their management. You have to ensure stress free environment for their optimal performance. Otherwise they think and act like individual investors only.Fine. We need not worry about this. Trend is the king. Intermediate trend is up despite yesterday's insipid close. Following stocks can be bought with a profit target of 10-15% gains. Yesterday's Financial Chronicle advised it's readers not to sell following shares with a disclaimer that they are not advocating buying of the same at this juncture. They are Reliance Communications, Tata Steel, Tata Motars, HCL Tech and Hindalco. If this early trends continue,market would advance further. Again TVs are proved wrong. It is also good for the country and the share market. Congratulations to Dr.Manmohan Singh and Indian voters. Given the economic measures announced by the Government, market should pierce the upper resistance and move past 3000. But the election results to be announced today may hamper the any up move. You can trade well in reality and bank sectors which would definitely advance. I don't understand why ICICI Bank and HDFC are taking so much time to decrease interest rates. They are the first one to rise the interest rates to their old floating rate customers.Ironically ICICI Bank announced a 1.5% cut in rates for NEW customers seeking loan amount of less than 20 lakhs. They should not be allowed to differntial pricing of their loan portfolio. Government should make steps to one time removal of pre payment penality and eligible and willing customers should be allowed to transfer their loans to PSU banks without pre payment penality and processing charges. These two steps are sufficent to make them more responsible. BSNL offers 20% discount in total Broadband bill (Rental+Usage) to State/Central Government and PSU employee with effect from 01/12/2008. In order to boost the acquisition and usage of Broadband among government employees, the competent authority has approved 20% discount on Broadband Service charges (usage and rental) for Broadband connections provided to Central Government/ State Government/ PSU Employees category. The scheme is to be launched from 1st December 2008 across BSNL network and is a continuous scheme. The serving and retired government employees applying for Broadband connection under this scheme, should furnish an undertaking countersigned by their Drawing and Disbursing Officer regarding their bonafide along with the application. In case of retired employees, an attested copy of the Pension Pay Order should be submitted along with the application. The application should be marked as “FOR GOVERNMENT EMPLOYEES SCHEME”. The scheme is also applicable to existing Broadband customers who are serving/retired government employees subject to their furnishing an undertaking as detailed above. The discount of 20% in Broadband Service charges for the existing customers will also be applicable if they apply, from the month of such application. The following companies turned bullish on intermediate term. GVK Power and Infrastructure Ltd - Target Rs.27. Remember both are in my virtual portfolio. SUN TV declined yesterday because of the profit booking. I reiterate my Buy call on this counter. This company formed many bullish chart patterns. One among them are Megaphone bottom. After forming this pattern, normally stocks struck in a range ( With small decline from the recent highs) for a short period of time. Then the stock would go up atleast 20 percent. If you already having Sun TV don't sell now, you can add also. Most of the interest rate sensitive sectors like banks, reality, automobiles and infrastructure started going up because of the expectations of RBI may reduce key rates on Saturday. Buy on rumors and Sell on the news. I am a typical mouse from Mumbai. In the local train compartment which has capacity of 100 persons, I travel with 500 more mouse. Mouse at least squeak but we don't even do that. Today I heard your speech. In which you said 'NO BODY WOULD BE SPARED'. I would like to remind you that fourteen years has passed since serial bomb blast in Mumbai took place. Dawood was the main conspirator. Till today he is not caught. All our bolywood actors, our builders, our Gutka king meets him but your Government can not catch him. Reason is simple; all your ministers are hand in glove with him. If any attempt is made to catch him everybody will be exposed. Your statement 'NOBODY WOULD BE SPARED' is nothing but a cruel joke on this unfortunate people of India. Today only your home minister resigned. What took you so long to kick out this joker? Only reason was that he was loyal to Gandhi family. Loyalty to Gandhi family is more important than blood of innocent people, isn't it? Recently I had to purchase house in Mumbai. I met about two dozen builders. Everybody wanted about 30% in black. A common person like me knows this and with all your intelligent agency & CBI you and your finance minister are not aware of it. Where all the black money goes? To the underworld isn't it? Our politicians take help of these goondas to vacate people by force. I myself was victim of it. If you have time please come to me, I will tell you everything. Take example of former president Abdul Kalam. Such a intelligent person, such a fine human being. You politician didn't even spare him. Your party along with opposition joined the hands, because politician feels they are supreme and there is no place for good person. See the news item published in the Chennai Deccan Chronicle . NSE revised the market lots for derivatives contracts as above. For full details, Please Click here. As Maran brothers patched up with his Grandfather, Sun network clocked 35% gain in 3 days. I expect it may move up further. Traders can buy this company for another 20 percent gain. Technically Reliance Communications is very very weak. Charts indicate this stock may touch Rs.140 soon. Most of the mutual funds started selling this good company. Accumulate around Rs.160. This company would be a multi bagger when market recovers.